Woman kneading dough on the table. 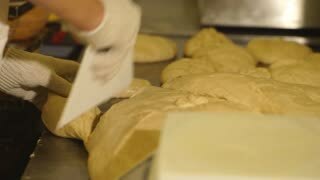 Baker prepares the dough. 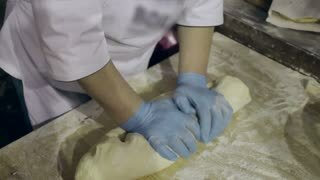 Hands kneadining dough.